Why A Craftmatic® Adjustable Bed? One of the reasons why there have been over 1,100,000 Craftmatic® Brand Adjustable Beds sold is the Advantage of Adjustability. Unlike ordinary flat beds, Craftmatic® Adjustable Beds support the natural curves of your body without causing muscle strain or discomfort. You'll notice the Craftmatic® Adjustable Bed difference immediately. Our comfort features are part of what makes our bed a place you'll look forward to relaxing in. Elevate your head or your feet. Turn on the bed's comforting heat and relaxing built-in massage options. There's no better place to be right now than in your Craftmatic® Adjustable Bed. 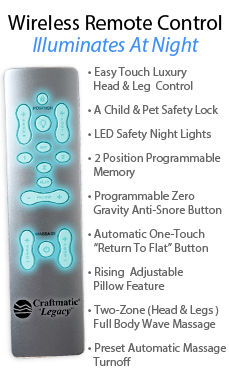 With its many health and comfort benefits, a Craftmatic® Adjustable Bed is perfect for you. But don't take our word for it. 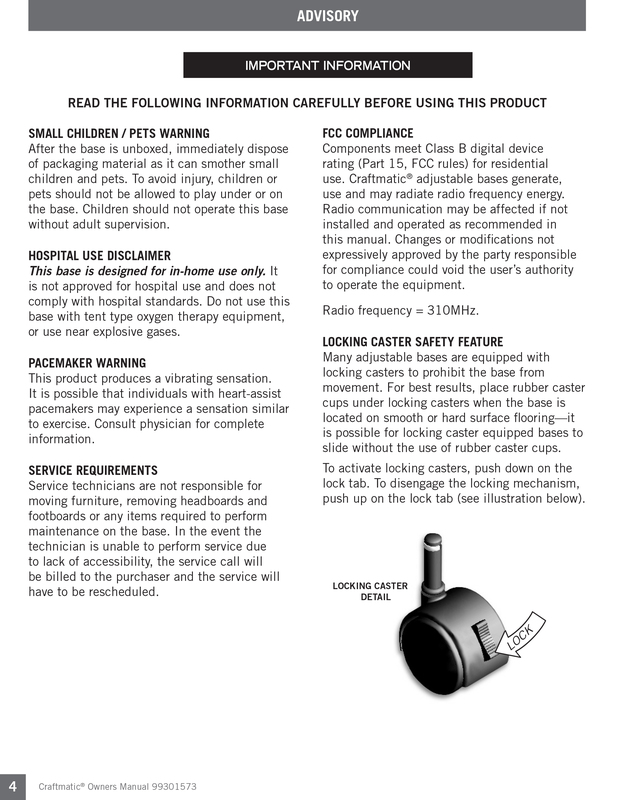 Listen to what our U.S. customers say!